Iranian FM Ali Akbar Salehi hopes Tehran's next round of talks with six powers will mark “the beginning of the end of the nuclear issue." 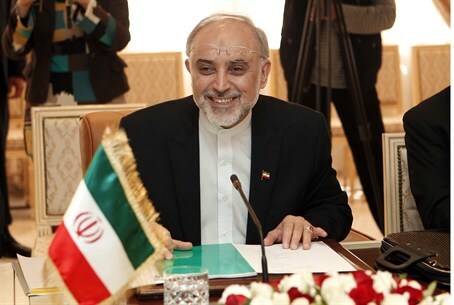 Iranian Foreign Minister Ali Akbar Salehi expressed hope on Tuesday that Tehran's next round of talks with the six powers will mark “the beginning of the end of the nuclear issue,” according to an AFP report. “We hope this meeting will be the beginning of the end of the Iranian nuclear issue,” Salehi told reporters during a visit to Tunis, following a conversation with Tunisian President Moncef Marzouki. On Monday, the Iranian foreign minister said he was “optimistic” about the upcoming negotiations with the United States, France, Russia, China, Germany and Britain over the Islamic Republic's nuclear program. The negotiations are planned to take place on May 23 in Baghdad. “The results of the Istanbul meeting were satisfactory, and I am optimistic about the next meeting in Baghdad,” he said, referring to recent talks between his country and six world powers. After the talks which took place earlier this month, the European Union’s foreign policy chief, Catherine Ashton, said they had been constructive. “In fact, they got the toughest sanctions that they're going to be facing coming up in a few months if they don't take advantage of those talks. I hope they do,” he added.